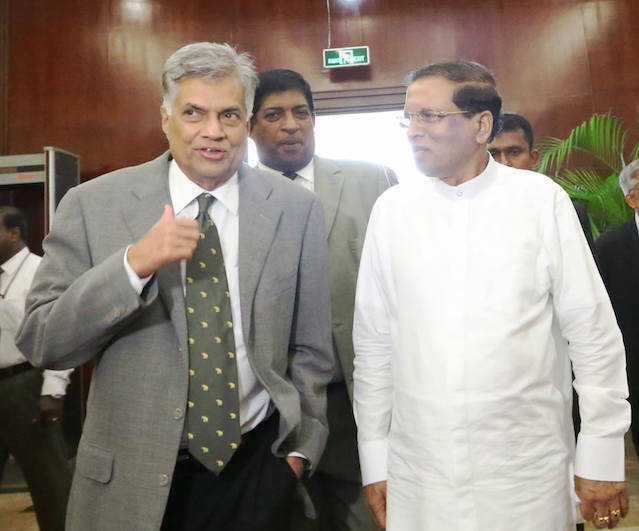 Both President Sirisena and Prime Minister Wickremasinghe have called the ongoing change a ‘revolution’ whatever the attendant infirmities or exaggerations. It is through the same democratic processes that those weaknesses could be rectified. The participation of the people and the civil society is of paramount importance. If January 8th was the first stage of that revolution, today, the August 17th undoubtedly is going to be the second stage. The following is what Wikipedia gives as a definition for democratic revolution. “A democratic revolution is a political science term denoting a revolution in which a democracy is instituted, replacing a previous non-democratic government, or in which revolutionary change is brought about through democratic means, usually without violence.” (Emphasis is not mine). Now we have passed that stage and the decision is placed before the people again to take a wise and a rational decision to move forward without rancour or violence towards a more democratic direction to ensure ‘sustainable development’ and ‘prosperity for all,’ without distinction as to religion, ethnicity or any other. It is unlikely that any political party or a group of parties, either the United National Front for Good Governance (UNFGG) or the old regime’s United People’s Freedom Alliance (UPFA) would obtain more than 113 seats in Parliament to comfortably form a majority government. That is one predicament of the present proportional representation and the current ‘balance of political forces’ since particularly the JVP and the TNA are contesting independently. That was not the case at the presidential elections on 8th January or one may call at the ‘first stage’ of the revolution. The second stage appears to be little more complicated in terms of electoral politics. The most possible and most desirably scenario, under the circumstances, would be for the UNFGG to take a lead and then a National Government could easily be formed with the support of the ‘truly democratic’ sections of the SLFP loyal to President Maithripala Sirisena. Such a national government, Ranil Wickremasinghe as the Prime Minister, is not going to be a minority government like in the recent past after January, but a majority government with the UNFGG and the UNP as the leading party or the force. I would personally urge the President not to take the ‘undesirable’ and ‘opportunist’ elements from the SLFP or the UPFA into such a Cabinet or even appoint them as Deputy Ministers. There is a paramount need to have a ‘clean’ and a ‘stable’ government. There can be a lesser possibility that the UPFA would have a lead, either obtaining 113 seats or coming closer to that mark. The possibility of the UPFA obtaining 113 is however quite remote and almost zero. Even if it is the case, the UPFA is terribly split because of Rajapaksa ambitions and there is a strong opposition within the SLFP not to have Mahinda Rajapaksa as the PM. This is apart from President Sirisena’s position. President Sirisena has discussed hypothetically or polemically his position under such a scenario as the President of the SLFP (and not as the President of the country) in his letter to Rajapaksa dated 12 August 2005. The following quotes are my translations from that letter. Therefore in plain ‘Sinhalese,’ Rajapaksa is out. In President’s opinion and wish it should go to another senior member of the SLFP. “In case, the UPFA failing to near the 113 mark and only come closer, then as the Executive President I can intervene to obtain the necessary other seats to form a government. Even in this event, who should become the Prime Minister is not you but another senior member of the party.” (My emphasis). The second statement makes it more imperative, categorically saying, NOT YOU (oba novai). As we have already pointed out, Sirisena has written the letter not as the President of the country, but the President of the SLFP. It is not a constitutional position that he has articulated, but a political one as the leader of the SLFP. Everyone knows however that he is ‘two in one.’ Therefore, what he says as the President of the SLFP has an underpinning as the President of the country. In simple words, it is clear that Rajapaksa does not entertain consensus within the UPFA, particularly the SLFP, to make him the person who ‘commands the (majority) confidence of Parliament’ according to Article 43 (3). It would not be an arbitrary decision by the President but the political reality. More importantly, President Maithripala Sirisena has moved decisively to take control of the SLFP and also the UPFA. In addition to his letter to Mahinda Rajapaksa, denouncing the latter’s destructive politics of communalism or racism (vargawadaya), Sirisena has also suspended Anura Priyadarshana Yapa as the SLFP General Secretary, and Susil Premajayanth as the UPFA General Secretary. These decisions are endorsed by the District Court of Colombo based on the SLFP constitution. One may think that these decisions are late, and if these decisions were taken earlier, even Rajapaksa could have been prevented from contesting from the SLFP or the UPFA. Even I felt the same when the President failed to prevent Mahinda Rajapaksa contesting. But better late than never. On the other hand, if these sackings were done closer to the nomination time or before, then they could have led to unnecessary legal battles and even violent conflicts. The smooth control of the SLFP would not be the result. The rationale of these moves at this stage is not that the UPFA is winning, but losing. It is particularly to preserve the SLFP and to reorganize it as a ‘Social Democratic Party,’ representing all communities that this decision has been taken in addition to preserve the ‘democratic revolution’ that was unleashed in January. This is very clear from the letter that President has written to Rajapaksa. 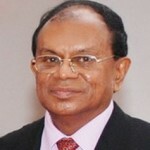 Undoubtedly, Rajapaksa and his acolytes, particularly Yapa and Premajayanth, are to be blamed for the impending defeat. The appointment of Professor Wiswa Warnapala as the (acting) General Secretary of the UPFA has a special meaning. 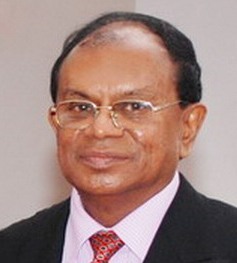 He has necessary connections with the two main (old) leftist parties (CP and the LSSP) and others to possibly win over them from Rajapaksa’s communalist scheme without dragging the country into another ’83 July. Under the immediate circumstances, it would not be Susil Premjayanth who would be handling the selections under the UPFA national list, but Wiswa Warnapala on the advice of the President. Warnapala, a former Minister and a long standing SLFP member, perhaps is the only academic in politics who has not tainted his career through opportunistic politics like GL Peiris or Rajiva Wijesinha. There is a more profound reason to take over the SLFP and the UPFA at the brink of the elections. There are great possibilities that certain sections of the UPFA would be planning communal violence, at post-elections, after their impending defeat. President Sirisena has named them as ‘gangs and groups’ (kalli saha kandayam), in his letter to Rajapaksa. President in his letter has accused Rajapaksa that “during the last nine years that you were leading, the SLFP has become a party that has disregarded (pitu pe) the plural realty of the country.” He has also asked the question from Rajapaksa that “haven’t you realized that this [communal] extremism that you inflame has worked against you for your defeat on the 8th of January?” It is the word ‘vargawadaya’ (meaning racism) that he has used in disgust against Rajapaksa.